British banks need to raise £25 billion ($38 billion) in new capital this year to build an adequate cushion against future shocks. The Bank of England said it would ensure that all major British lenders take action to plug the gap by the end of 2013 after regulators found that the industry was underestimating medium-term risks. Losses on commercial real estate and high-risk loans to eurozone borrowers could exceed existing provisions by about £30 billion, and the cost of future misconduct cases -- such as the recent Libor scandal -- was understated by about £10 billion. A more prudent approach to the assessment of risk also revealed a £12 billion shortfall, the central bank said. "Taken together, the effect of these three adjustments would be equivalent to around a £50 billion reduction in the regulatory capital of the major U.K. banks and building societies," the bank said in a statement. British banks such as HSBC (HBC), Barclays, RBS (RBS) and Lloyds (LLDTF)have been fined billions of pounds for the improper sale of payment protection insurance and interest rate swaps. Barclays and RBS have also paid big penalties for their roles in attempting to rig the Libor benchmark interest rate, while HSBC paid $1.9 billion last year to settle money-laundering claims by U.S. authorities. Some banks already have the capital they need to make higher provisions, but the total shortfall for those that do not was around £25 billion at the end of 2012. Others have begun to take measures to strengthen their balance sheets by issuing new bonds or reducing dividend payments to retain a greater proportion of earnings. Those that haven't will need to achieve a core capital ratio of at least 7% of risk-weighted assets by the end of 2013 as a first step, to give them the capacity to absorb future losses without restricting lending to individuals and businesses. 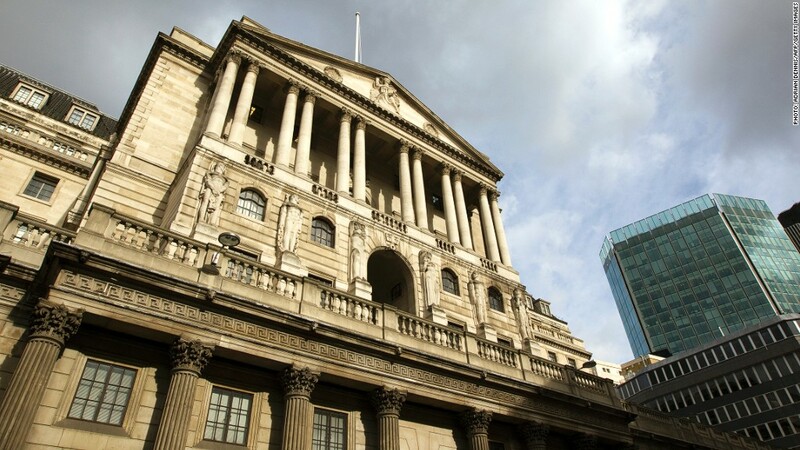 The Bank of England, which has assumed responsibility for bank regulation from the Financial Services Authority, said capital ratios would need to rise further after 2013 to comply with a global set of rules known as Basel III and the government's plans to make the industry safer by separating retail and investment banking activities.